Finished sixth in the Supreme behind stablemate Klassical Dream, when appearing to travel well on the turn for home, but fell apart up the straight. Was second again to the 5yo in the Chanelle Pharma Novice Hurdle back in Ireland at the Dublin Racing Festival, and last won a race at the same venue [Leopardstown] back over Christmas. Useful novice for the Supreme Horse Racing Club, and will suit the flat track at Aintree with no steep hills to climb. The better the ground, the better the chance he has. Like Aramon, Felix Desjy ran a cracker in the Supreme at Cheltenham last month only to find little up the straight, and faded back to fifth after Fakir D'oudairies pipped his spot for fourth-placed prize money. Won a couple of nice races over hurdles - including the Grade Two Sky Bet Moscow Flyer Novice Hurdle at Punchestown back in January, and would look an obvious contender here to win, but to also make the running. Gigginstown's only representative in this, and a top stable demands respect. 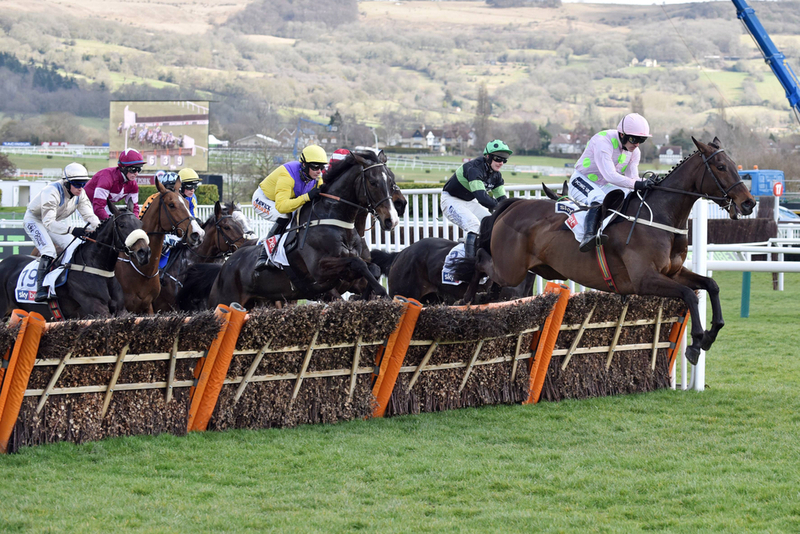 Olly Murphy stored away Itchy Feet for the Cheltenham Festival after his narrow second at Prestbury Park in a Trial for the contest back in November. Said to go well fresh - after a couple of wins at the start of the season at Southwell and Kempton, he most certainly did that when finishing a fine third to Klassical Dream in the Supreme at odds of 25/1. Broke some blood vessels which was discovered post-race, and connections would not have entered him in this if he was not 100% sound. The current Champion Trainer also has Precious Cargo, who unlike his stablemate , was not seen at the Cheltenham Festival. This 6yo certainly developed and matured a little later to be ready in time for Aintree, and only made his hurdles debut at Kempton back in January. He since followed that up in another novice event at Sandown where he clearly was a class apart, so could be one to keep an eye on here as he climbs up the classes for the first time. Chose to skip his Festival entries in the Supreme or Ballymore, and instead collected a valuable Grade Two at Kelso at the beginning of March. Won readily and unchallenged that day, and put right a few errors that we saw at Newcastle on his last appearance; where although he collected the win, he did not look all that straightforward having been sent off 4/11f. Second to Mister Fisher at Kempton over Christmas - the pair could be big players on a track that will certainly suit them much more. Switched from Mark Johnston's flat yard last September, and has since made positive inroads as a hurdler. Victorious at Worcester and Ludlow either side of an average third at Taunton has warranted a jump to the top level, and maybe he can spring up a surprise. Upset short-price favourite Angels Breath at Kempton in the Dovecote three weeks before the Cheltenham Festival for which he did not enter. Disappointing second at Taunton clearly proves he is ground dependent, and will want it as quick as possible going into this weekend. Four of his last six outings have been at Taunton, so takes his campaign into unknown territories in the north now. Another youthful horse in the field who has made a fine transition from a flat horse into a decent hurdler. Winston C - who finished third on his first start over obstacles for the same yard, has been on somewhat of a roll since, with victories at Wincanton and Sandown, being followed by a Class Two event at Kelso under top weight. A horse really going places, and connections offering the phrase 'why not' by now being targeted at Grade One glory.